I have just recently sold this listing at 407 - 53 W Hastings Street, Vancouver. I have just recently sold this listing at 535 E 31ST AVENUE, Vancouver. I have just recently sold this listing at 302 - 1008 Cambie Street, Vancouver. I have just recently sold this listing at 3707 W 13th Avenue, Vancouver. I have just recently sold this listing at 2601 108 W CORDOVA STREET, Vancouver. I have just recently sold this listing at # 102 1476 W 10TH AV, Vancouver. I have just recently sold this listing at 1401 - 189 National Ave, Vancouver. I have just recently sold this listing at 303 - 2366 Wall Street, Vancouver. I have just recently sold this listing at 302 - 1788 W Georgia Street, Vancouver. I have just recently sold this listing at 304 - 1082 W 8th Ave, Vancouver. I have just recently sold this listing at 6348 Douglas Street, West Vancouver. I have just recently sold this listing at 3207 - 939 Homer Street, Vancouver. A great find for my clients in this hot market! This rarely offered two level apartment offers incredible views of Downtown & North Shore Mountains from the kitchen, living room & adjoining 250 + SF deck. Two good sized south facing bedrooms upstairs, the master features an additional balcony & walk-in closet. A bonus here of 2 desirable parking stalls. Nestled above the tree lined streets of Fairview, this home is within minutes to Downtown, Whole Foods, London Drugs, restaurants & Canada Line! Looking forward to seeing the renovation when completed! I have just recently sold this listing at # 22 780 W 15TH AV, Vancouver. I have just recently sold this listing at #102 - 1135 BARCLAY ST, Vancouver. 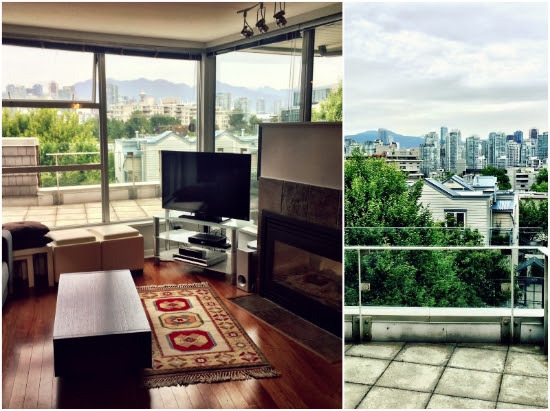 I have just recently sold this listing at #308 - 27 ALEXANDER ST, Vancouver. I have just recently sold this listing at 1282 W 7th Avenue, Vancouver.